Why Sportscare Physical Therapy is Required for Sportsmen? From high school baseball and intramural Frisbee to marathon runners and professional football, athletes of any type can experience an orthopedic injury. Sports Medicine is a subspecialty of orthopedic medicine that focuses on the injuries and illnesses sustained as a result of participation in athletic activities. The level of activity required by playing sports can cause stress and strain on the bones, muscles, ligaments, and tendons of the musculoskeletal system. Whether the result of improper mechanics, like poor pitching technique, or an acute trauma like being struck in the knee it is important that sports injuries and illnesses be assessed by a healthcare professional who specializes in sports medicine. Our surgeons and doctors trained in sports medicine are experienced in the treatment of orthopedic injuries and illnesses, and work to get all patients back to their pre-injury level of motion so they can participate in their favorite activity free from pain. Because of his training, skill, and experience in the field of Sports Medicine, Dr. Carney was chosen to be the team physician for Fair Lawn High School and William Paterson University. 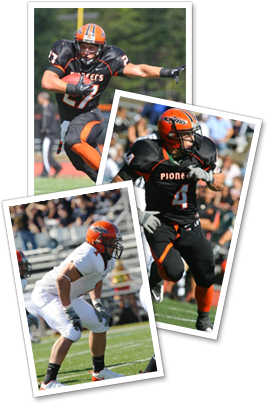 Dr. Carney has served as the Team Physician for the William Paterson University Pioneers for the past fifteen years.